Today, Two Boots Tavern (formerly Two Boots Pizza), hosts an official opening party featuring the music of neighbor Eliott Sharp and free slices of pizza [I Dream Of Pizza]. 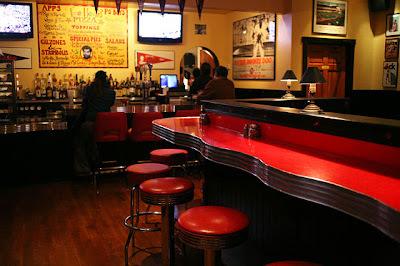 Located at (384 Grand Street near Norfolk Street), the joint serves four tap beers, a variety of bottles and bar snacks like spinach-and-artichoke dip, hot wings, and pigs-in-blankets. 8 PM. Click here for all the info.